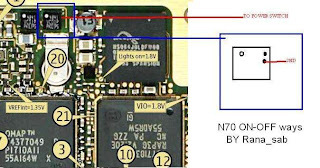 Power button or switch on/off button on Nokia N70 is very small, it easily broken if pressed for often time. 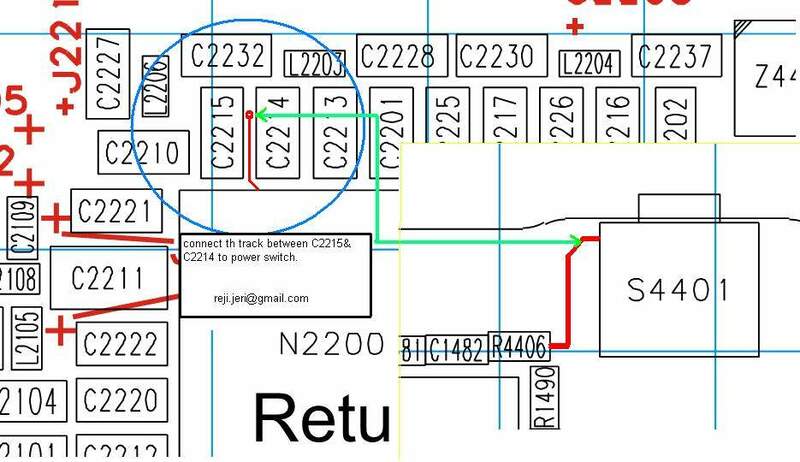 To repair the broken circuit on Nokia N70 or N72 power switch button, we can do the jumper tricks. 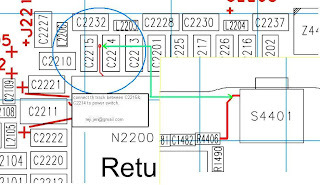 To do this, we need the Nokia N70 schematic diagram. 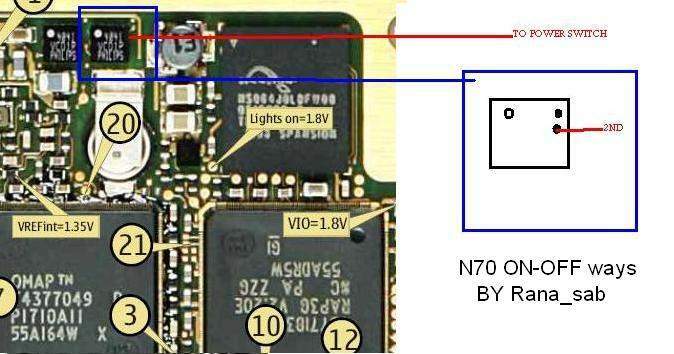 But, to make your job easier, mobile repair guide provide some pictures relating to Nokia N70 power switch button problem. 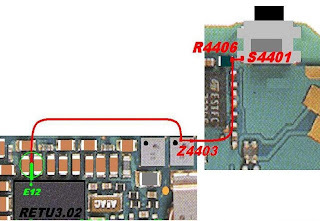 The pictures show you how to repair the broken path, what point which connected, etc.